The course is FREE to BCCMA members on production of a valid and up to date BCCMA licence. Please the your place on the system. 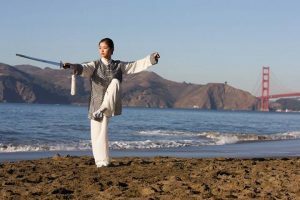 This course examines the rules that will be used at the BCCMA National Taijiquan Championships and teach judging criteria for traditional and compulsory Taijiquan/Taijijian Xingyiquan routines (forms, Taolu) and how to apply them fairly and objectively. > the BCCMA’s Official Taijiquan routines judging certificate and invited to judge at subsequent competitions. Category: National Governing Body Judging Courses. This course It is intended for those who already have a deep understanding of traditional/compulsory routines, for example heads of association, experienced instructors, those who have spent a long time involved with Taijiquan. All those who perform successfully on the course will be invited to judge at the BCCMA’s National Taijiquan Championships. Those who do so successfully will be awarded the BCCMA’s Official Taijiquan routines judging certificate and invited to judge at subsequent competitions. This course examines the rules that will be used at the , BCCMA National Taijiquan Championships and teach judging criteria for traditional and compulsory Taijiquan/Taijijian Xingyiquan routines (forms, Taolu) and how to apply them fairly and objectively. The course involves a thorough analysis and explanation of all aspects of the rules with discussion and demonstration. In this respect it is extremely useful for instructors wishing to properly prepare their students for the competition."